Like any other teenager, Jordan is inquisitive about the world around him. As a young man, he’s learning more each day about what he would like his life to become, and it seems the sky is the limit. His mother describes him as “a dreamer with big goals” given his experience in Boy Scouts and his affinity for going out on adventures. 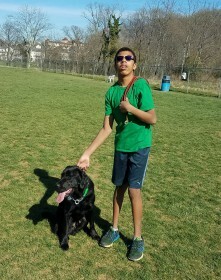 This incredible young man has not been discouraged by issues associated with his disability and he was ready to share his adventures with a canine partner. 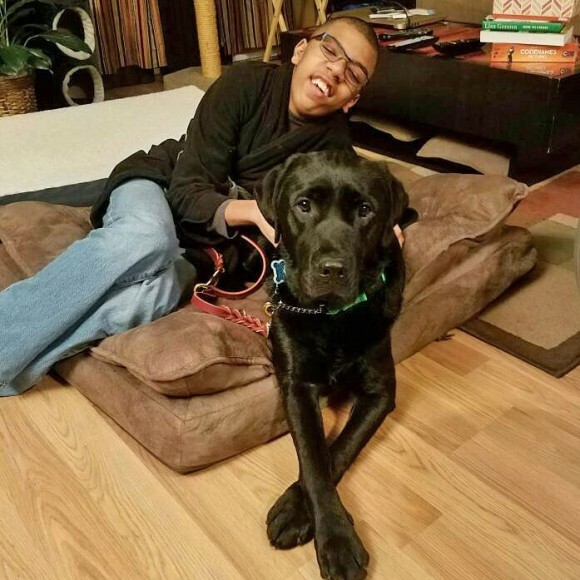 In February 2016, Jordan and his mother visited CPL to interview for a home companion dog. He loved seeing the all the dogs in the kennel and learning that all CPL dogs are socialized with other animals throughout their training. This meant that the transition for Jordan’s new dog would be smooth when coming home and meeting the family cat. Jordan waited patiently to be matched to a dog and finally, in the summer of 2017 the family received the call that Fidget had been selected for him. Fidget is a social dog with a good demeanor so all of the things Jordan would do with a canine partner by his side were finally on the horizon. Jordan takes full responsibility for Fidget’s needs and he gets up early every morning to make sure Fidget is taken care of. Jordan is focused on Fidget throughout the day and Fidget follows Jordan everywhere. The pair is now inseparable and Fidget is always included on family trips! On one of those trips, a long boat outing with a family friend, Jordan and Fidget could be seen secured in their life vests together. These two are constantly working together to find the next great adventure. Truly, an entire world of possibilities has been opened.